The outsourcing of public services to private go-getters has concentrated wealth the whole world over. The best answer to that concentration? That just may be new forms of public ownership. In Denmark, “public-public” partnerships on energy generation are offering fresh alternatives to privatization. If we let those current trends continue, that conclusion sounds about right. But why on earth should we let those trends continue? The trends that have made our world so unequal don’t reflect some inevitable unfolding of globalization. They reflect wrong-headed political decisions. We can make different decisions. Take privatization. Over the past four decades, governments all around the world have chosen to privatize a broad array of public services. These privatizations have generated vast new concentrations of private wealth, among them the $75 billion fortune of Carlos Slim, the world’s second-richest single individual. Our privatizers are still seeking new worlds to conquer. In the United States, for instance, they’re aggressively going after public education, a near $.7 trillion annual jackpot. But privatizers today are increasingly facing as much resistance as opportunity. All over the world, publics are beginning to reject the privatization mantra. The privatizers, turns out, have a problem with their pitch. Privatizers have a problem with their pitch. The new Cumbers report for the London-based Centre for Labour and Social Studies describes and compares a variety of these imaginative new forms. Some are just getting underway. Others — like Denmark’s new approach to energy policy — are already delivering rather amazing results. Privatization’s critics are looking at new forms of public ownership. Denmark is nurturing innovative “public-public” partnerships. 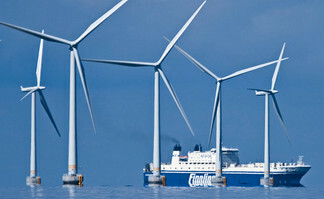 In 2001, one of these partnerships constructed off the coast of Copenhagen what then rated as the world’s largest wind farm. The partners: Copenhagen Energy, the municipally owned local utility of Denmark’s largest city, and a cooperative run by the over 10,000 local residents who had purchased shares in it. In our new Information Age, some egalitarians are now proposing, we need to do more than undo the privatization of the traditional “natural monopolies” in sectors like electricity, water, and public transportation. Last week, for instance, brought a call to turn companies like Google, Facebook, and Amazon into public utilities. These corporate giants, notes analyst RJ Eskow, have “achieved monopoly or near-monopoly status.” They profit off publicly funded technologies like the Internet but operate “without regard for the public interest.” And they don’t even pay their own full tax share. A century ago, public anger at concentrated wealth turned privately provided services into public utilities. Over a century ago, Americans saw similar abuses in the new technologies of their own day. Their America was transforming at breakneck speed, from a rural to urban society. The nation’s newly overstuffed cities, big and small alike, found themselves needing to move and warm and light ever-denser populations.